Bruce Parker first experienced the sea as a young boy, working for his father’s scuba diving and water ski schools in the Bahamas. Over the years he mixed his encounters with the sea with academic training and research, to eventually become a world-recognized expert in the oceanographic subjects covered in The Power of the Sea. He has a PhD in physical oceanography from The Johns Hopkins University, an MS in physical oceanography from the Massachusetts Institute of Technology, and a BS/BA in biology/physics from Brown University. Before leaving NOAA (National Oceanic and Atmospheric Administration) in October 2004, Dr. Parker was Chief Scientist for the National Ocean Service, and before that Director of the Coast Survey Development Laboratory. He is presently a Visiting Professor at the Center for Maritime Systems at the Stevens Institute of Technology in Hoboken, NJ. His awards include the U.S. Department of Commerce Gold Medal and Silver Medal, the NOAA Bronze Medal, and the Commodore Cooper Medal from the International Hydrographic Organization. Dr. Parker is also a former Director of the World Data Center for Oceanography, and a former Principal Investigator for the NOAA Global Sea Level Program, and at one time ran the U.S. national tides and currents program. 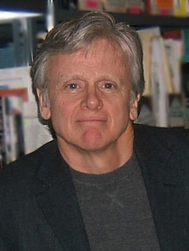 Dr. Parker has published over a hundred papers and articles and written or edited several books.